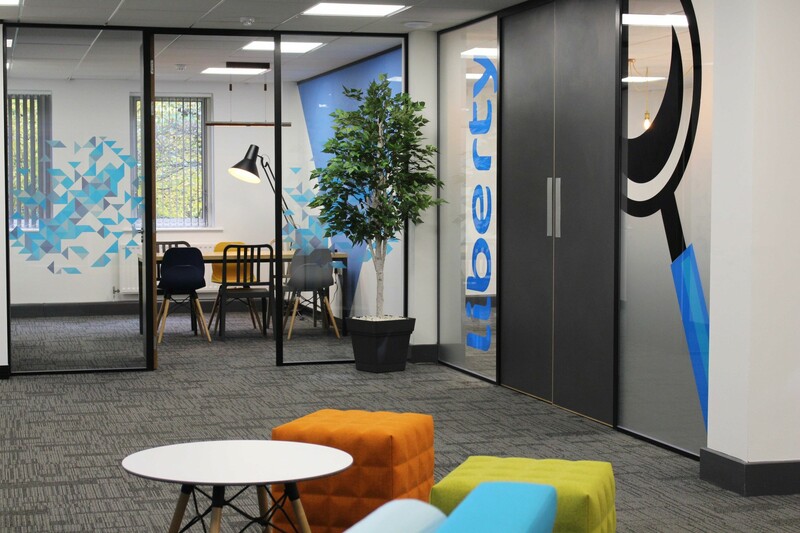 Introduction: D&G Office Interiors were the principle contractor for the new Liberty Marketing office refurbishment. 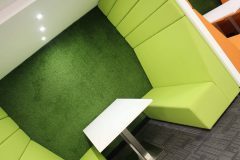 Ayjay Group were working alongside them as the electrical partner. 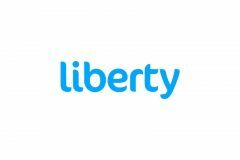 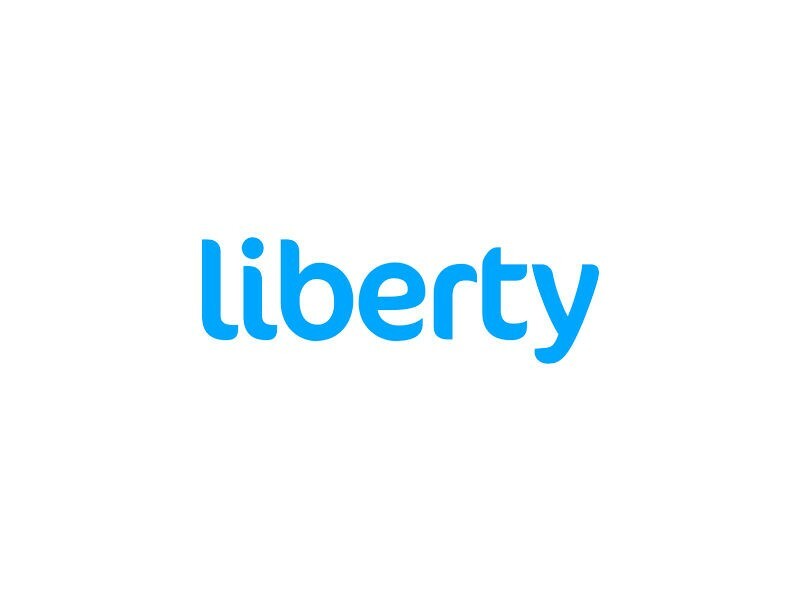 Liberty Marketing was founded in 2008. 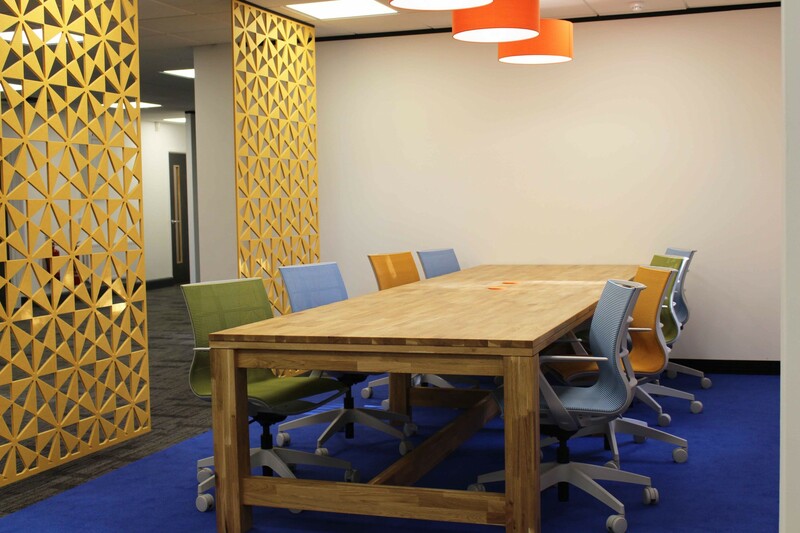 Over the past ten years they have grown and are now one of Wales’ largest online marketing agencies. 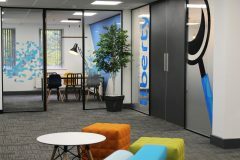 Liberty Marketing’s old office block was dated and needed a fresh design. They wanted a fun modern office space and we accommodated to their bespoke requirements. 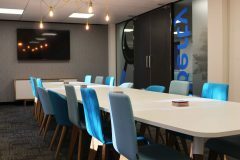 We offered a lighting design which enhanced the new features of the refurbished office space, to create a modern twist. 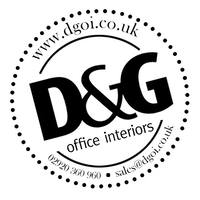 Different feature lighting and spotlights were installed throughout the space, as per D&G Office Interiors design and specification. 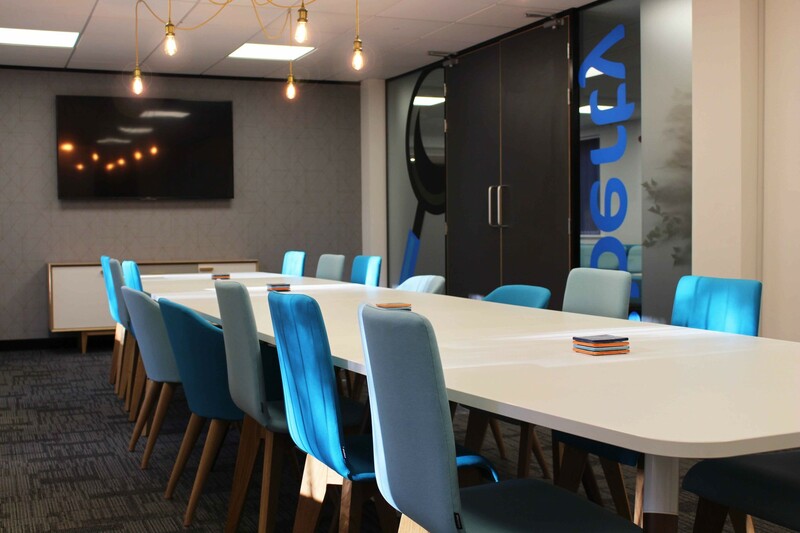 We upgraded the mains distribution boards, so we could accommodate RCBO’s (Residual current Circuit Breaker with Overcurrent) providing RCD (Residual-Current Device) protection to all outgoing circuits. 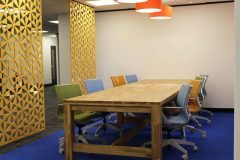 Flexcomm a subdivision of Ayjay Group, installed a new data cabling infrastructure and relocated the server cabinet to maximise the office space.